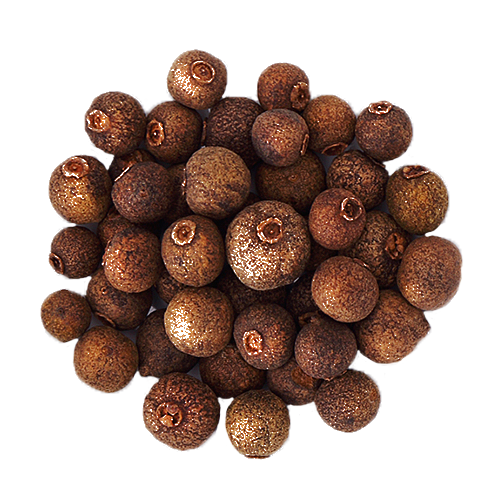 Allspice has pain relieving qualities and can help increases circulation. It also helps protect the gastrointestinal system, boosts the immune system, eradicates fungal infections, lowers blood pressure, and can reduce inflammation. It has a taste similar to a blend of cloves, cinnamon and nutmeg.